The Deer and Feral wild Boar Management Steering Group met with Mark Harper, MP for the Forest of Dean this month (24th July 2015). Members of the group include the Deer Initiative (DI), the Forestry Commission (FC), the National Farmers Union and the National Pig Association. The group briefed Mark on the recently released FC report Feral Wild Boar and Deer in the Forest of Dean; Survey and Population Projections in the Public Forest Estate 2015, which stated that there has been a further increase in the population. Mark was briefed on the growing issues of road traffic accidents, damage to local amenities and the risk of disease transmission to our Â£350m pig export market. 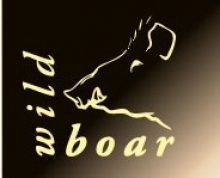 All agreed that there was a need for coordinated action to ensure that the Forest of Dean population was sustainable and that the negative impacts of feral wild boar are minimised. The Deer Initiative is a broad partnership of statutory, voluntary and private sector interests dedicated to â€˜ensuring the delivery of a sustainable wild deer population in England and Walesâ€™ (www.thedeerinitiative.co.uk). The Partners include such diverse organisations as Natural England, Forestry Commission, RSPCA, RSPB and The Highways England. All the members of the Partnership abide by the principles of the Deer Accord and encourage others to share their commitment and priorities as an integral part of their management of deer. 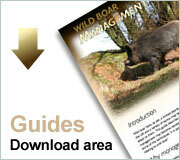 Feral Wild Boar - Where did they come from and what are their impacts?